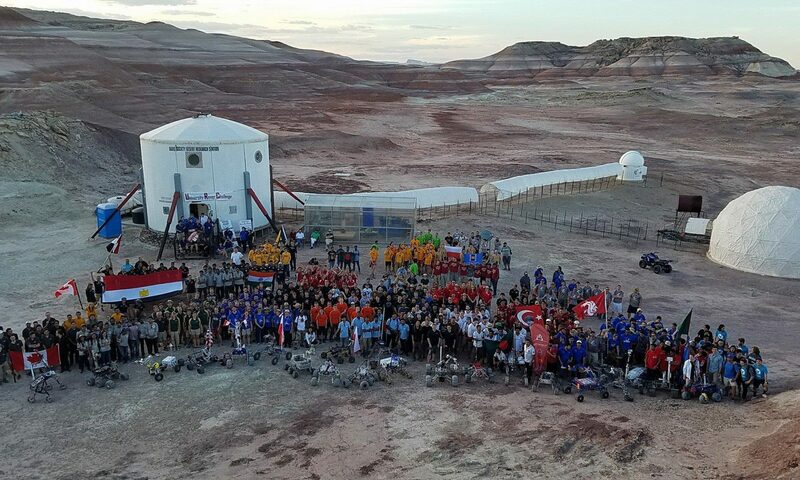 Sol Activity Summary: Today the crew prepared to depart MDRS and leave it to our successors on Crew 211. We spent the morning cleaning the station, inventorying the food, and getting the spaces ship-shape for handover. In the afternoon we continued to process plant samples and salinity measurements in the Science Dome, and collaboratively wrote a white paper outlining our multi-year biodiversity program, while Mike Irvine prepared an in-depth outreach proposal. We will continue to prepare for our imminent departure this evening. Look Ahead Plan: We plan to leave MDRS at 0800 tomorrow to head to Grand Junction, where we plan on handing over the crew car to Crew 211 by 1200. 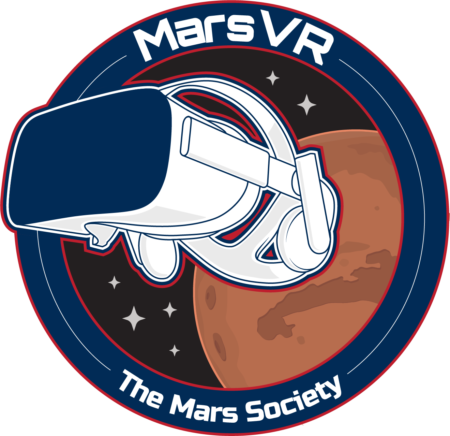 Thank you to Mission Support, the Mars Society, and the management of MDRS for a great week in Utah; the five of us really appreciate your support. Reports to be filed: GreenHab Report, Operations Report, Daily Photo Report, Mission Summary, End of Rotation Food Inventory, End of Rotation Checklist (by tomorrow am). After a water run into Hanksville, our team continued to process our field samples in the Science Dome and will continue to do so tomorrow. By recording physical characteristics of the soil samples taken from our quadrats, we hope to discover the factors driving plant diversity (or the lack thereof) in the different ecological areas around MDRS. Look Ahead Plan: We plan on continuing our work in the Science Dome tomorrow and will work on putting together a plan for our multi-year biodiversity inventory. Anomalies in work: No issues. Weather: Bright and sunny all day. EVA: We presented out Livestream from the area just north of "Zubrin’s Head" on the west side of Cow Dung Read, south of the blind corner on the road. Sol Activity Summary: Today we continued our outreach efforts on social media, including answering questions on our Reddit "Ask a Martian Anything", and uploaded a Facebook update video. Four of the crew went to Copernicus Valley to continue transect and quadrat sampling, where we discovered new plant records for the MDRS area, including a stinkweed (Cleomella palmeriana). After a beautiful ride out and back, we returned home to the hab for lunch. In the afternoon we hiked up to the top of Hab Ridge just to the west of MDRS to finish our quadrat sampling. We returned to the hab around 6, and we plan on spending the evening processing samples and pressing plants in the Science Dome. Look Ahead Plan: Tomorrow AM we will conduct livestream outreach broadcasts (one in French and one in English) in partnership with Discover The Universe and Live It. In the afternoon we will continue to process samples in the science dome, and will meet to discuss next steps for our multi-year program. EVA: Four crew members took ATVs to Copernicus Valley in the northwest corner of the MDRS operation area in the morning for quadrat sampling. In the afternoon four crew members hiked up to Hab Ridge for additional quadrat surveys. Sol Activity Summary: (This morning we hosted a representative from the local Bureau of Land Management Office, therefore our team left for EVA in the early afternoon. We visited two sites east of the hab along the Cactus Road to survey vegetation using quadrats at two pre-determined sites – details for this sampling will be covered in the science report. At these sites we made additional plant and lichen collections for our biodiversity survey project. At the end of the day we proceeded to Hanksville to host an “Ask a Martian Anything” on Reddit. Look Ahead Plan: Tomorrow we plan on visiting three more sites to finish our quadrat surveys, and to process the plants collected today in the hab science dome. Anomalies in work: No issues to report. Weather: Good weather (though slightly cold and overcast) until we returned home from our EVA, and which point rain and hail started over us. EVA: We drove along Cactus Road east of the station and sampled two sites along the route for our quadrat surveys. Sol Activity Summary: This morning, after the requisite coffee, Crew 210 pressed the plants collected during yesterdays excursion to Salt Creek and the Burpee Quarry. By squishing the plant specimens between cardboard and drying them out, the team is left with a flat plant that, of stored correctly, will last for hundreds of years. These specimens, accompanied by a label indicating the location and date of collection, will serve as the proof that these plants were found growing at a specific place and time, and will make up the backbone of our first planned publication from this program. Our team devoted the rest of this sol to gathering supplies essential to hab and rover systems. Shannon made a water run to Hanksville, while the rest of 210 went to Bicknel for ATV batteries and supplies to build a quadrat for our ecological work. On our return to MDRS our team was able to repair one more ATV, three of these are now operational. While completing both our scientific and technical work for the day we were also able to continue our social outreach efforts, including posting video of our plant pressing adventures to Twitter and Facebook, preparing for an “Ask a Martian Anything” on Reddit tomorrow night, and telling our “Martian” tales on social media. All in all, another beautiful day in that special place that straddles the line between our unique planet and the one we’d next like to visit. Look Ahead Plan: Now equipped with a square-meter quadrat for ecological sampling, we will plan on spending tomorrow (sol 4), doing transects and quadrats within the MDRS operational area. At these sites we will document the number of species, percent cover, and functional groups of the plant and lichen communities, and record abiotic variables such as soil moisture content, pH, and coarseness. New plant and lichen species found on EVA will also be collected. 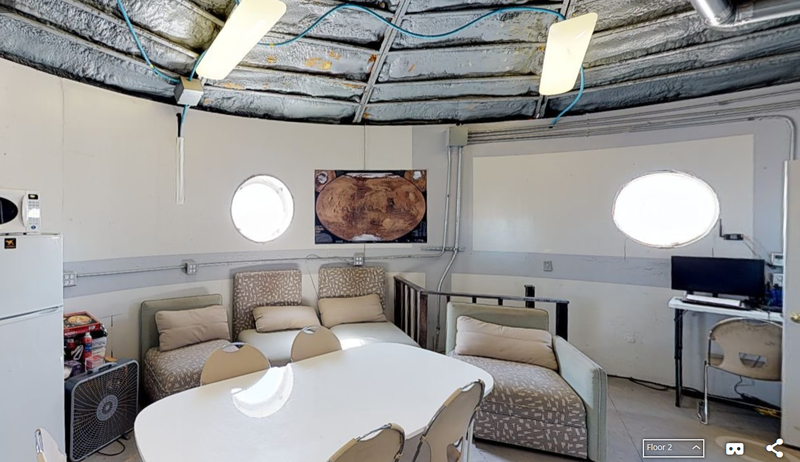 A Bureau of Land Management representative is scheduled to visit MDRS tomorrow morning, so we will meet with them before starting our sampling EVA. Weather: Cloudy in the am, clearing by mid-day. EVA: no EVAs at MDRS, but Shannon made a water and supply run to Hanksville, and the remainder of the crew made a supply run to Bicknell. Before departing MDRS for a day of botanical sampling, crew 210 spent the morning working on social media outreach and (importantly), fueling up on coffee. While team members emptied the hab car water tank (filled last night in Hanksville), other crew members continued to repair the hab tunnels. The full team (five humans and two space dogs) left the station at 11:30. When we went to return to MDRS the hab car did not initially start, so Mike Irvine and myself hiked back to the hab from the quarry to retrieve the crew car. However, just as we returned to the hab we heard from the rest of the team over the radio that they were able to restart the car and they made their way back to MDRS. Tomorrow the team will travel to Loa in the morning to retrieve parts for the ATVs, and plan on sampling around the hab (time-permitting) in the afternoon. · Dr. Shannon Rupert, director of the Mars Desert Research station, and desert ecologist. · David Murray, crew 210 co-lead, MDRS GreenHab director, and desert ecologist. · Paul Sokoloff, crew 2010 co-lead and botanist at the Canadian Museum of Nature. · Samantha McBeth, polar biologist, expedition guide, and outreach coordinator. · Mike Irvine, co-founder of Live It and outreach coordinator. We spent this afternoon addressing logistical needs around the station, including some repairs of the hab tunnels, two water runs into Hanksville, and repairs to ATVs. We will likely need to run additional errands on Monday, so tomorrow we will begin our sampling program by surveying the vegetation and sampling around Salt Creek, on the Factory Butte road. This spring has been very lush around MDRS and the “Martian” hills are green with peppergrass and evening primrose, so we are eager to begin our science program in the hopes of finding new plant records for MDRS, and to contribute to long-term ecological monitoring at the station. Crew 208 continued 3D printing in the Hab and completed the data collection for our bike-powered 3D printing project. XO is packing up most of our equipment tonight in his vehicle for the return trip home. Look Ahead Plan: Continue data collection for the thoracentesis study this PM. Prepare for post-mission inspection on Sol 9. Plan to depart Hab on Sol 10 at 0800.